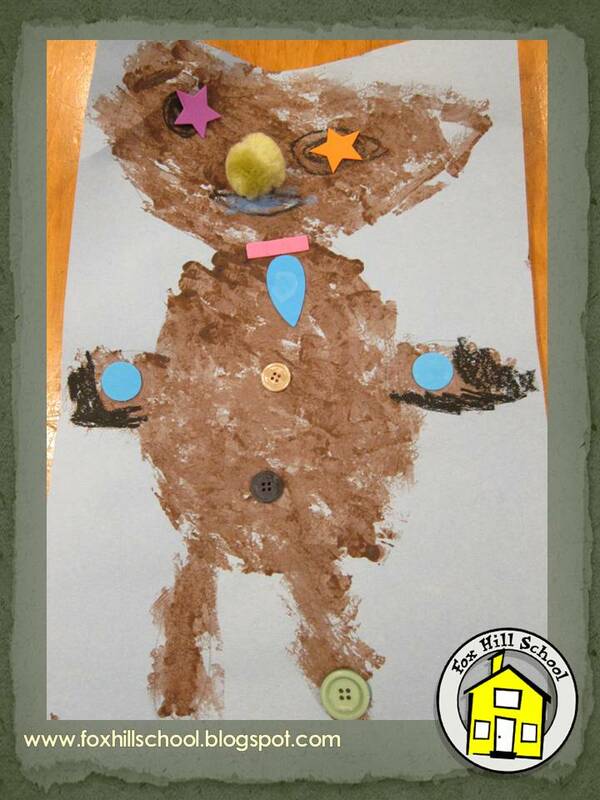 The last two weeks of school before our winter vacation, the focus book at the Kindergarten was The Gingerbread Man by Catherine McCafferty. Over the course of the week they read many other versions of this classic tale and even wrote their own version of the gingerbread man! 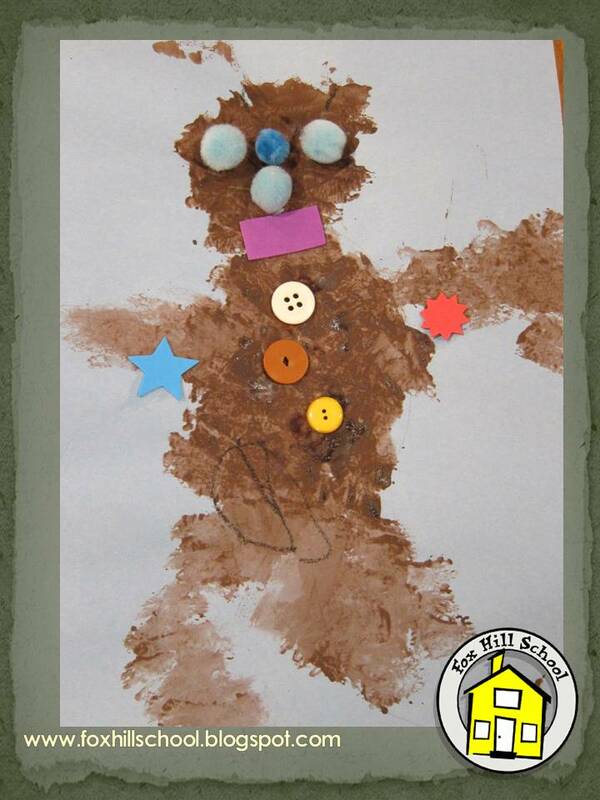 So in art I read The Gingerbread Kid Goes to School by Joan Holub and we made sponge-painted gingerbread men decorated with collage materials. First the kids drew ovals and circles in pencil on a 12x18 piece of construction paper. You could have them draw the shapes free hand or use this template. 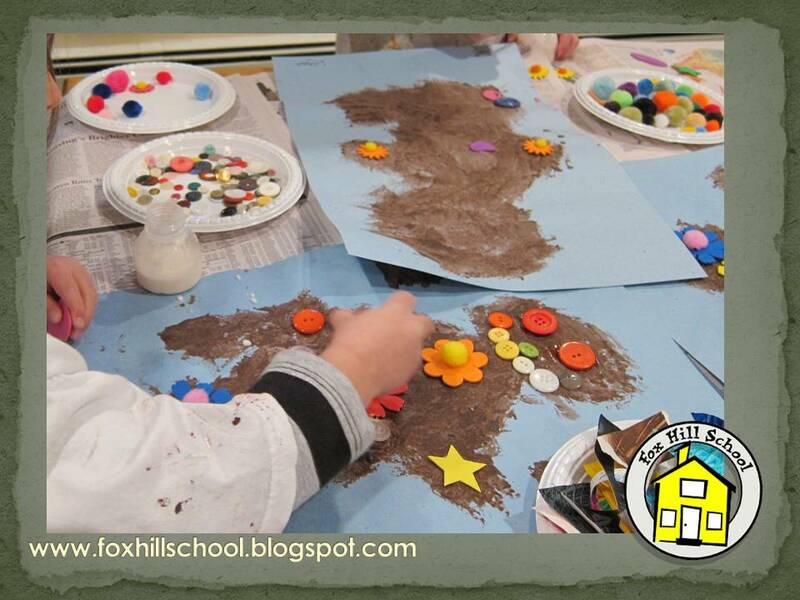 Then they dipped sponges (with clothespins clipped to them as handles) into a shallow plate of brown paint. They dabbed the paint all over their drawing being sure to cover all the pencil marks. When they were dry, I gave them collage materials (buttons, foam pieces, painted paper, pom poms, etc) to decorate their gingerbread men. They look fabulous! In our focus book, Balloons over Broadway by Melissa Sweet, the story tells of the Macy's employees who come from all different countries and how they celebrate holidays in different ways. We took this opportunity to encourage our families to share their holiday traditions with us. This week we learned about Hanukkah; last week two of our families from Germany shared some of their traditions with the class! As kids will point out, the most important thing that most holidays or celebrations have in common are gifts! So this week the kids made all sorts of wrapping paper for the families to take home. 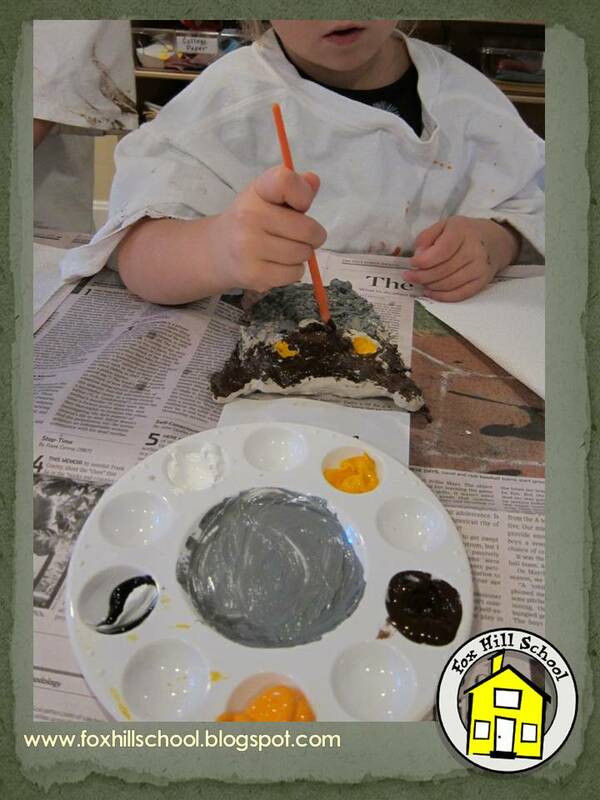 We start with butcher paper and have the kids paint it all one color, covering all the white. They love working together to paint the huge piece of paper. 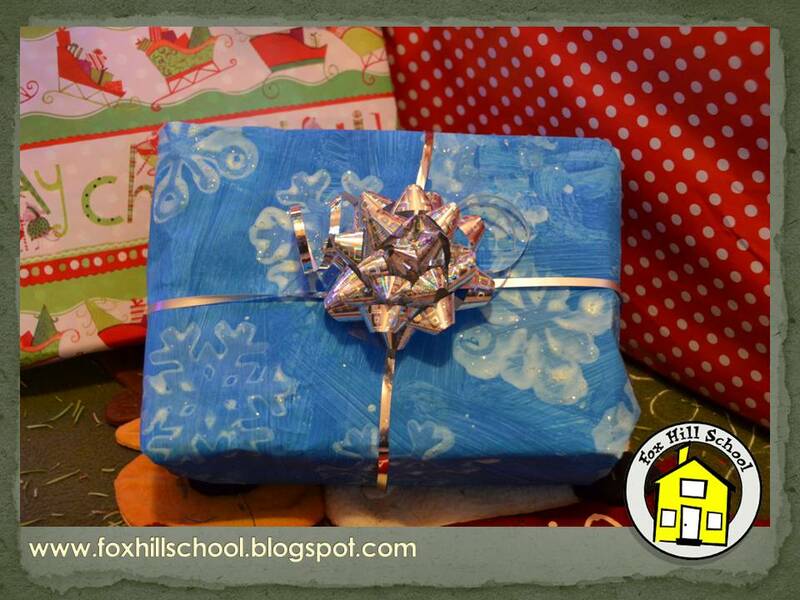 For this batch of wrapping paper we used blue paint.Once the paint was dry, we added glitter to white tempera paint and stamped snowflakes on the paper. We now have many rolls of beautiful handmade green, red, white and blue wrapping paper in a basket next to the door for families to take home with them! The kids are so proud of the beautiful project they made with their friends! At the Kindergarten last week our focus book was Good Night, Owl by Pat Hutchins. We learned all about owls and even went on a field trip to the Ipswich River Wildlife Sanctuary. During our hike we actually saw 2 owls! It was very exciting! 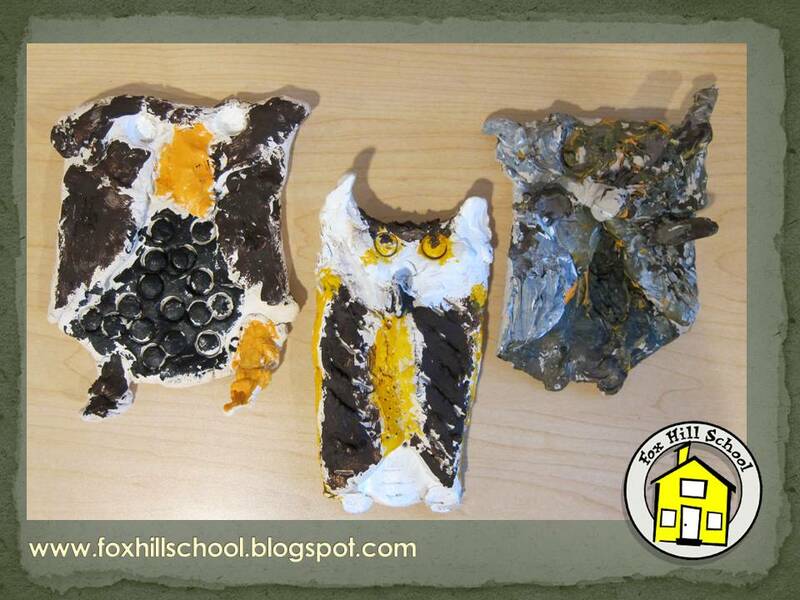 Last year, my son made a clay owl at school with his first grade class. 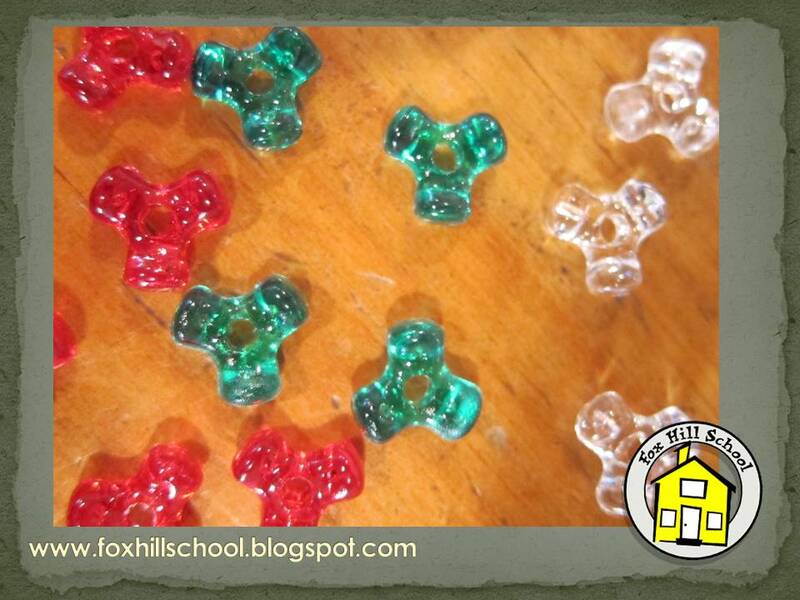 I had him teach me how to make them and we made them this week with the PreK/Kindergartners. Each child received a big ball of clay and their own cutting board to work on. They were instructed to flatten the ball of clay into a circle. 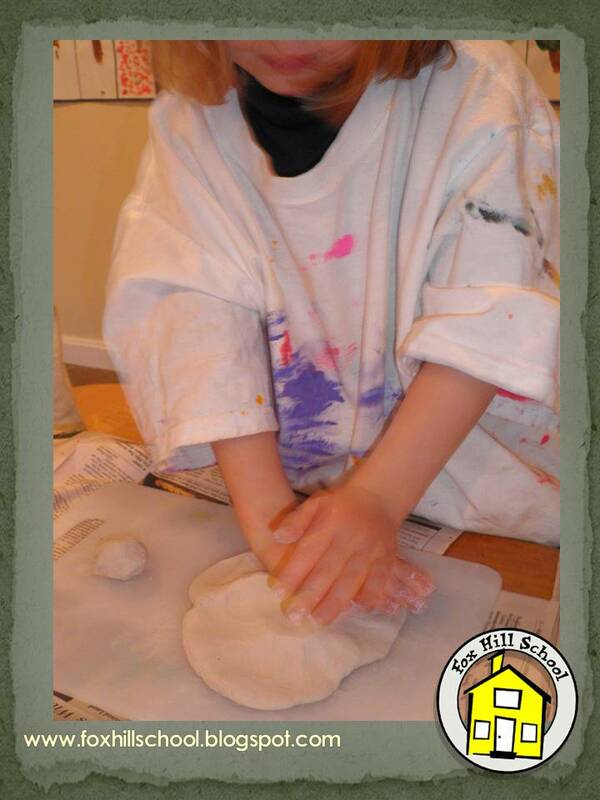 Some kids used a rolling pin for this task and others just used their hands. Once the clay is in the shape of a circle, I had them fold each side in towards the middle. This made the wings of the owl. Then I had them fold down the top part of the circle over the top of the wings. This formed the head of the owl. I gave them marker caps to poke into the head to make the eyes. From here they were on their own to create the owl however they chose. Some kids made big ears while others added talons. Everyone also added a beak, although no two were the same. They used pencils to scratch in texture into the wings and bodies of the owls. I was so impressed by how well they all turned out! 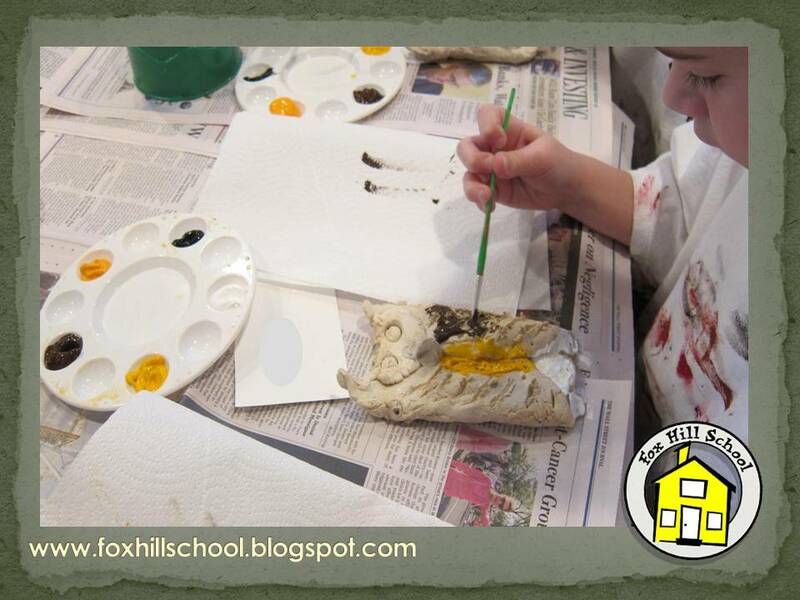 The next art class we painted our owls. I've started using individual palettes for the paint this year and I just love it! This inexpensive art tool completely eliminates any arguments between the children about mixing colors and they love using the palettes! Each time we use them they get more creative with mixing colors. We used acrylic paints so the colors would be bold. They were so excited about this project and the owls turned out AMAZING! 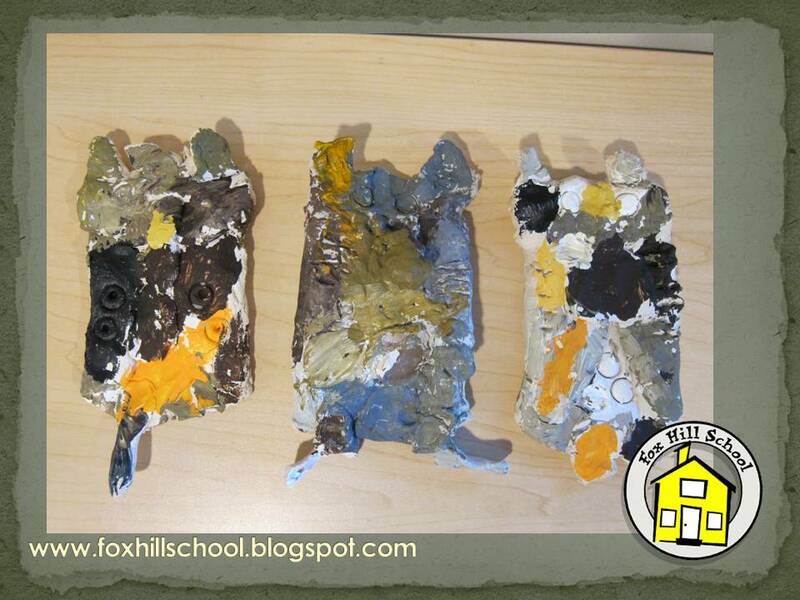 Since my son was in first grade when he did this project I wasn't sure how the kindergartners would do with it, but they really took their time created beautiful clay owls! So when a curriculum or season presents itself as an opportunity to have the preschoolers make something that is beautiful AND functional I am very excited! Tree ornaments are just the activity! 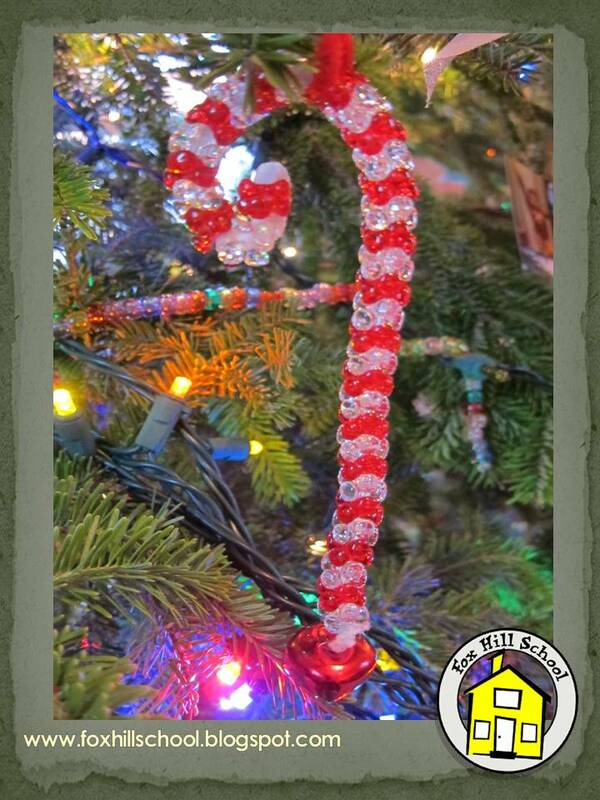 We have made many different types of ornaments in the past, but one of my favorites are these beaded ornaments. 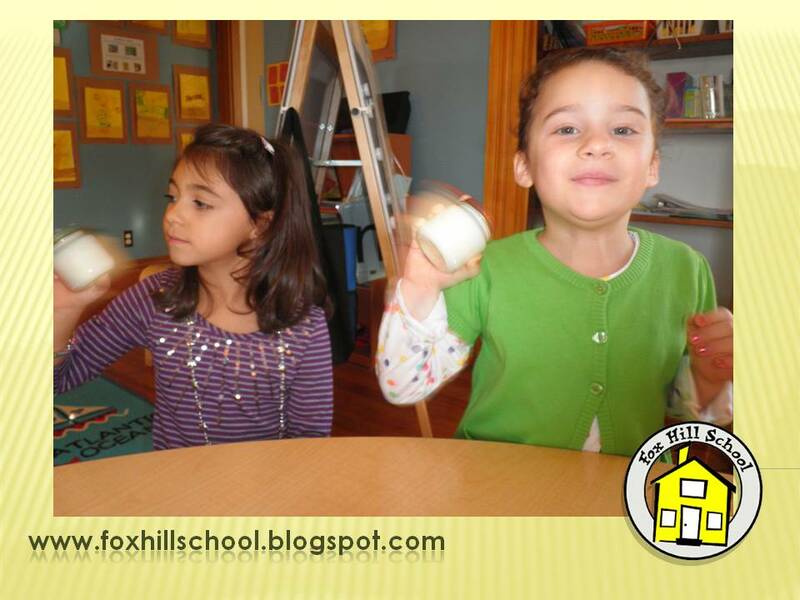 We plan these as a fine motor activity - making ornaments that strengthen finger muscles and help kids' be better writers? What more could you ask for in a preschool activity!?! 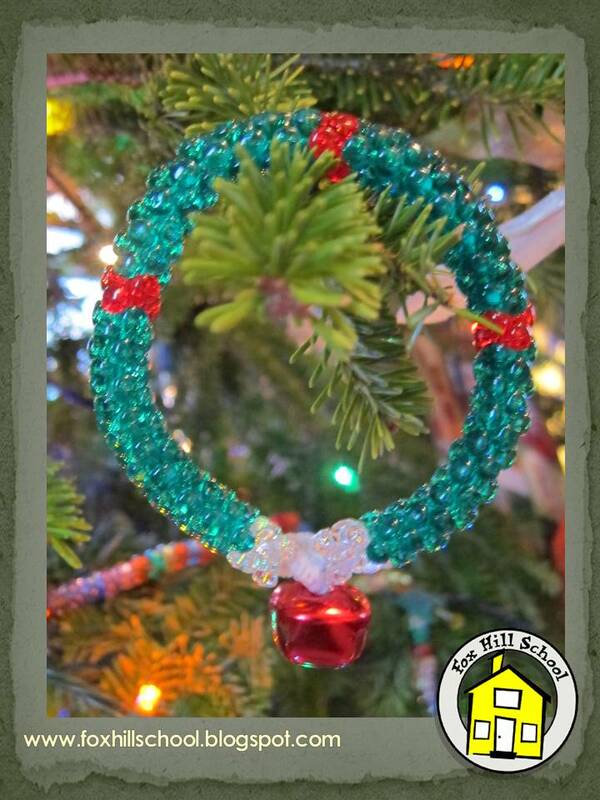 All you need are pipe cleaners and tri crystal beads. Ribbon and jingle bells (optional). 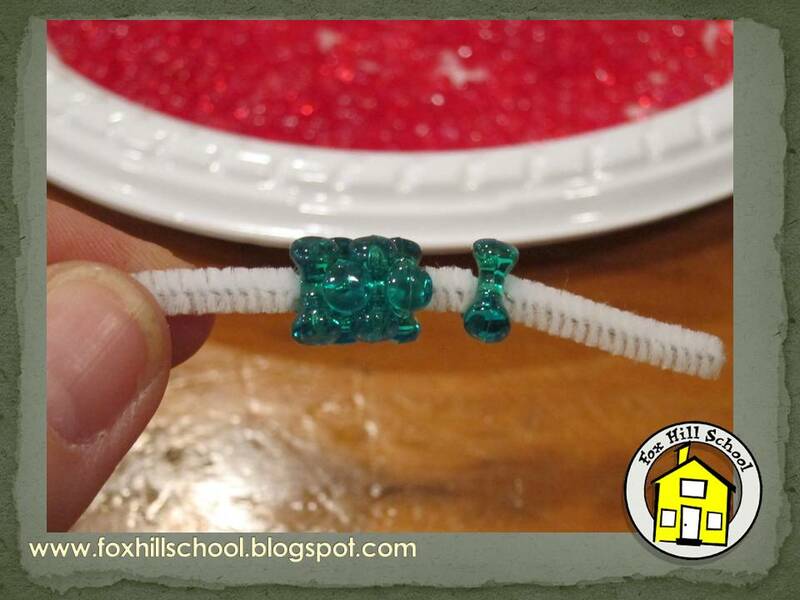 Pipe cleaners work great for little hands because the beads do not fall off the opposite end like they do with elastic bracelet cord. This shape of bead is ideal because they sort of lock together and you can't see the pipe cleaner at all. 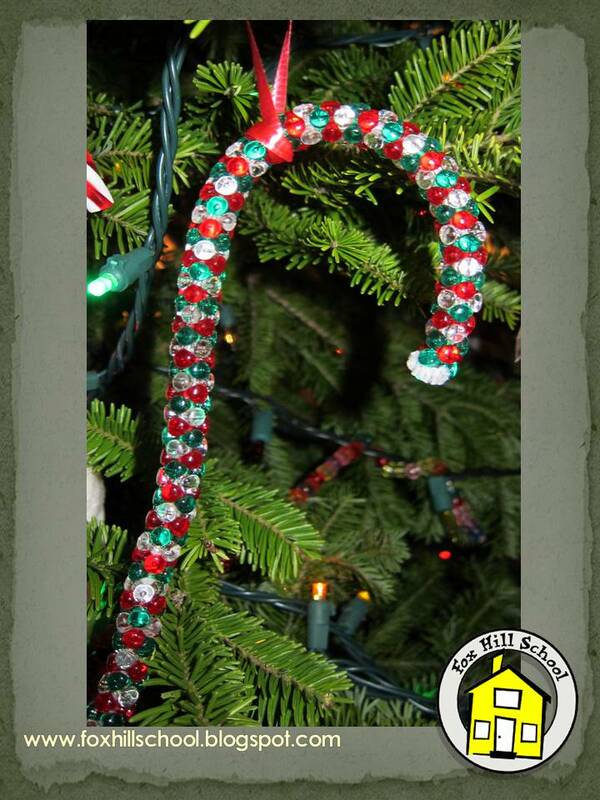 You could make all types of different ornaments; this time we made wreaths and candy canes. Once you have filled the pipe cleaner with beads, you can shape them into the desired ornament (tree, wreath, candy cane, frame, etc.). We added some jingle bells to some of ours but they look cute without if you don't have bells. You can add ribbon to hang the ornament or, depending on the shape, just hang the ornament as is. These ornaments look very fancy on the tree and every year will remind us sentimental moms of the little hands who made them! Don't Lick It - Just Stick It! We interrupt this regularly scheduled program with a public service announcement! I just read on Facebook that one of my friends just finished licking all her holiday card envelopes. There are several reasons one should not be licking holiday card envelopes: 1) They most likely DO NOT taste good, 2) I once read that each envelope you lick is 5 calories - who needs that during the holidays?! and 3) We all know what happened to George Costanza's fiance from licking envelopes! Not good! 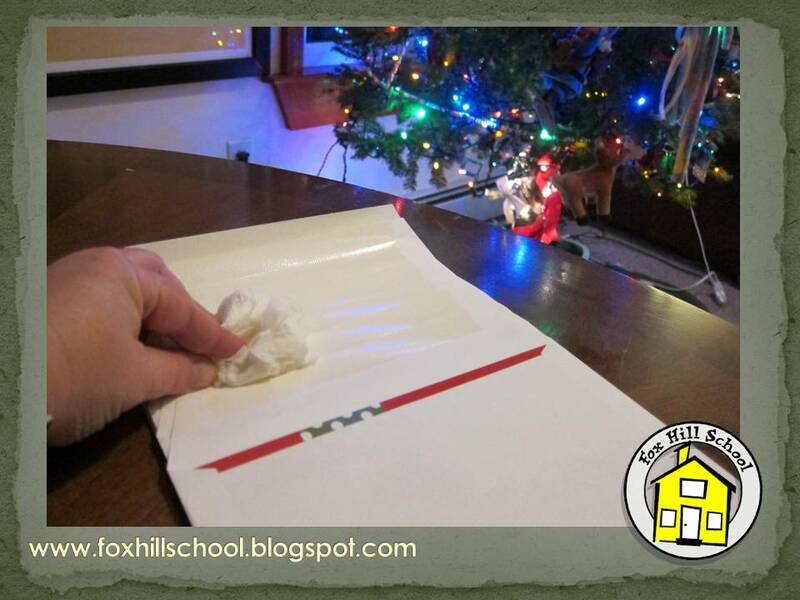 So I am sharing a little trick I learned years ago to hopefully save you from the grueling task of licking the envelopes of your holiday cards! 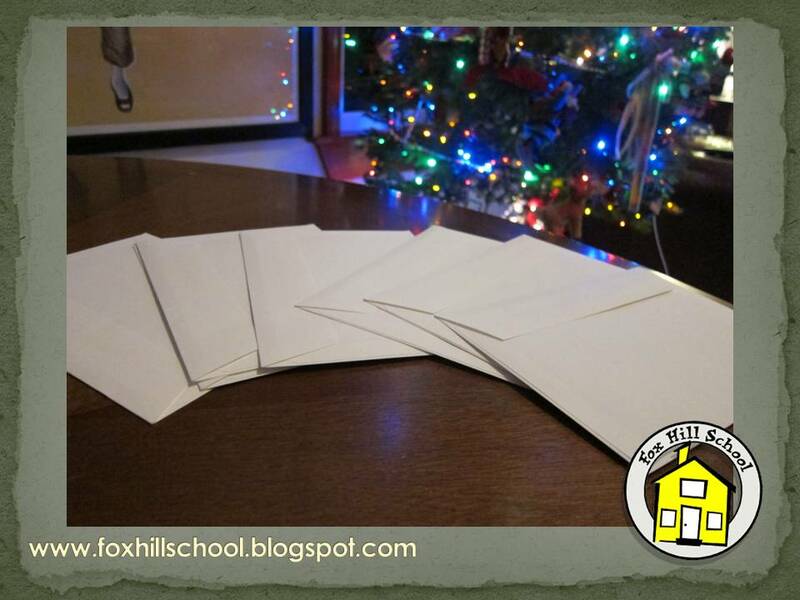 First, line up several envelopes in a row with the sticky part of the envelopes lined up. Depending on the size of your cards you can probably do as many as 6-10 at a time. 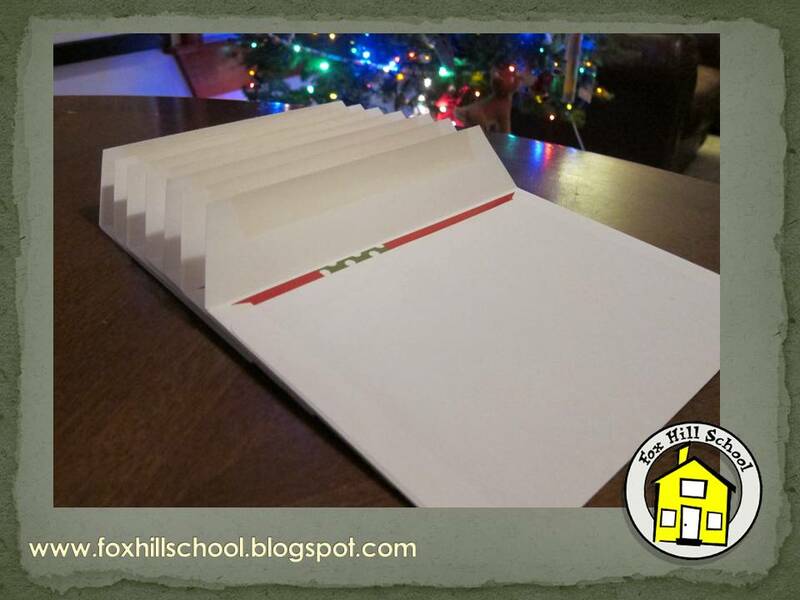 Second, take a damp paper towel or sponge and wipe the sticky parts of the envelope, all in a row, pushing the towel away from the cards towards the ends of the envelopes. Last, stick the flaps down one by one and TA DA! you're done! Here's a little video to show just how quickly you can get this done! 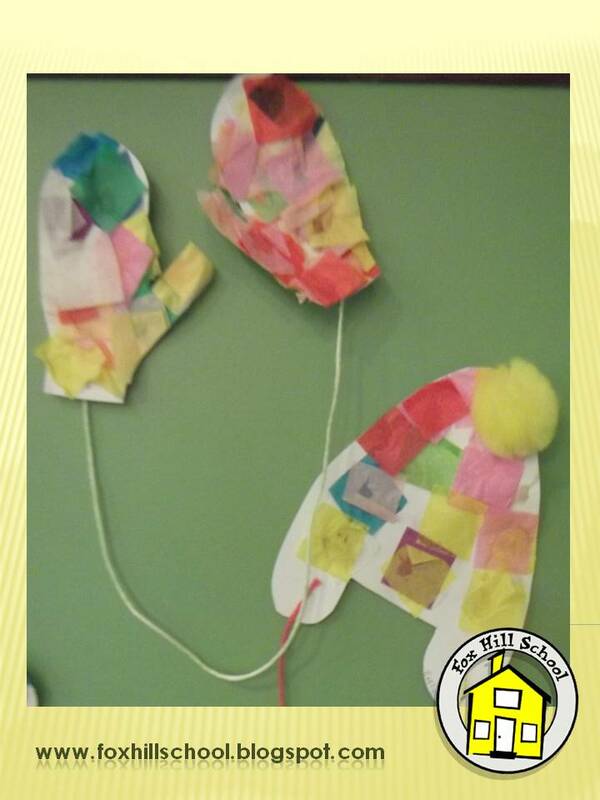 Since the colder weather is now approaching, it's the perfect time to make some colorful hats and mittens to decorate our classroom! 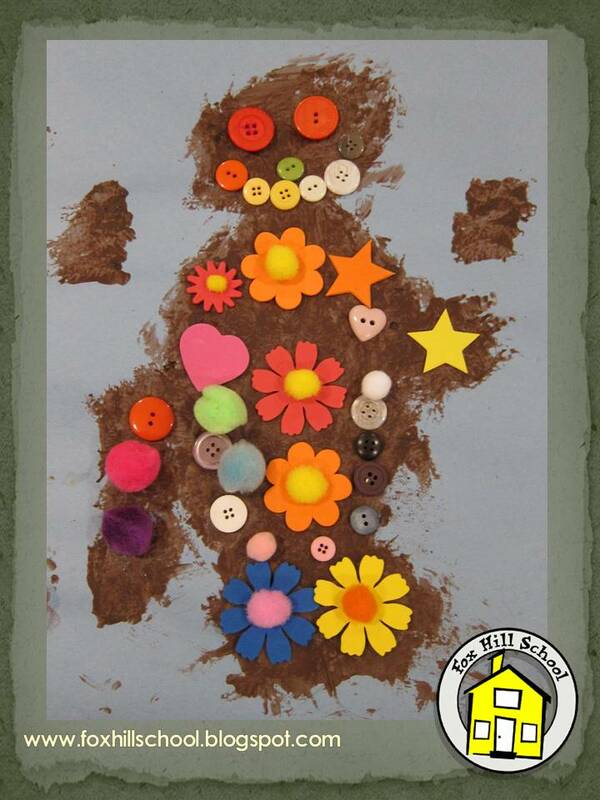 One of the support books for the morning preschool is The Mitten by Jan Brett. During Afternoon Explorers we continued with another favorite winter book and also read The Hat by Jan Brett. I made my own templates and doubled over the paper to make duplicates and save time! 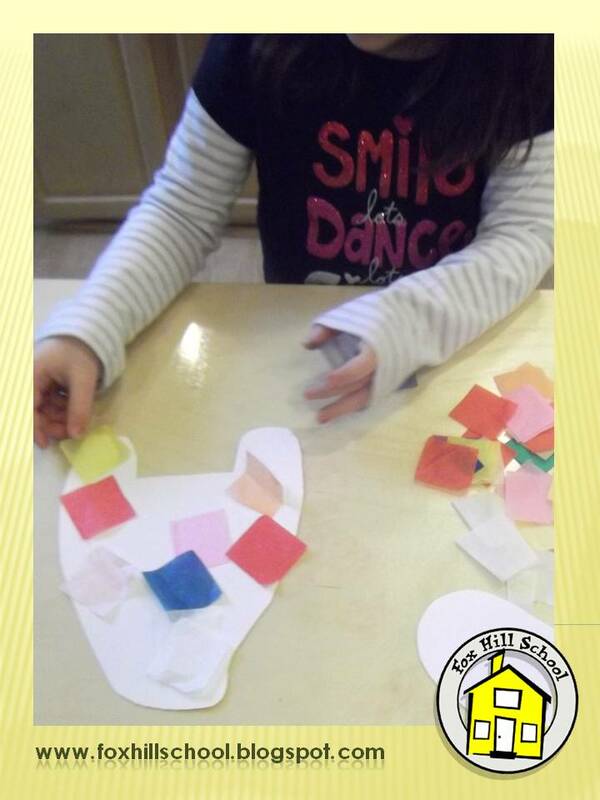 The hat starts off with tissue paper squares and glue. Once children are finished covering the hat with the tissue squares, they chose the color of pom pom for the top and strings hanging from the ear flaps. I used a stronger poster-type paper to withstand the glue. The mittens were pre-stapled with the string connected. (This makes it easy to hang dry.) All that is left to do is decorate. 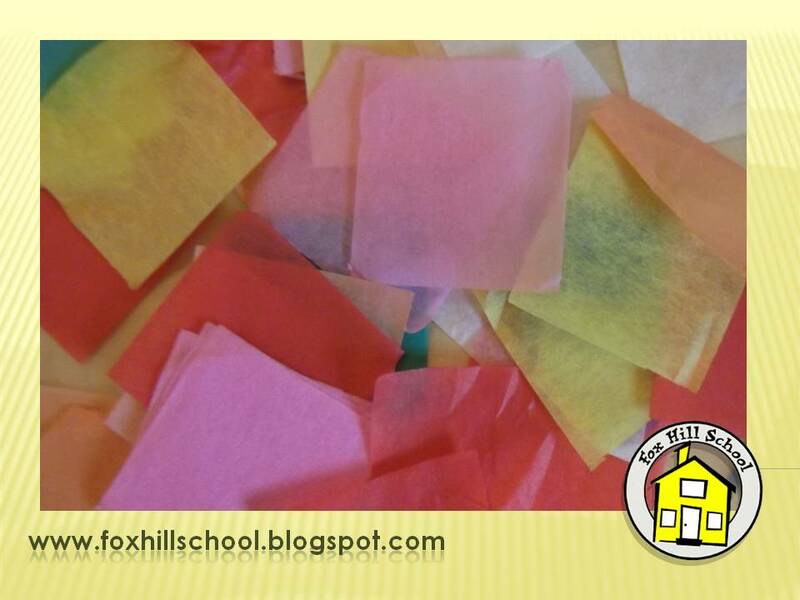 When projects are dry, it's time to cut off the excess tissue paper and hang! This is definitely a project that will be hanging up all winter long! When we were designing our new PreK/Kindergarten art room, we went round and round about an easy, accessible way to store our art smocks. Children are more likely to use and take care of classroom materials appropriately if they are presented in an organized and inviting manner. We thought the same should go for our smocks. At the preschool we have a basket by each easel with smocks in them that are easily accessible to the children. 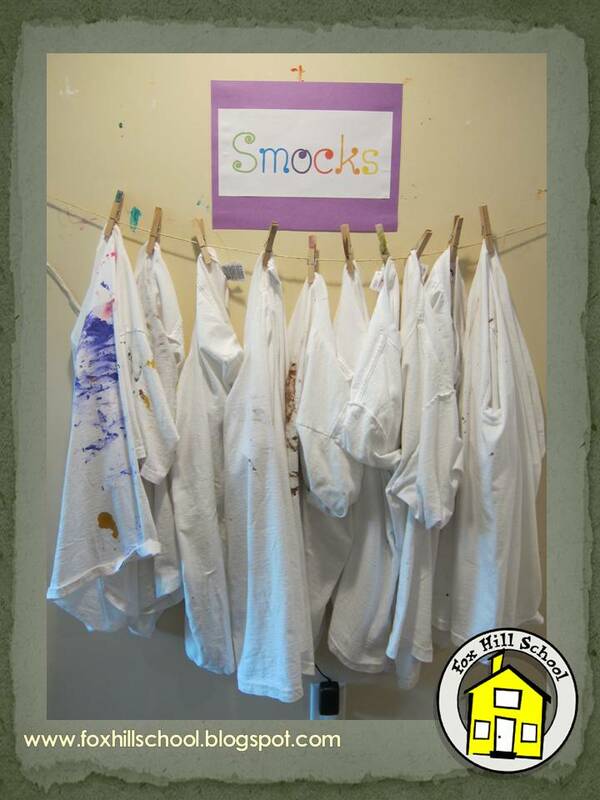 Our new art room did not have much extra floor space, so we decided that we would neatly hang the smocks on the wall so they wouldn't take up room on the floor and still look neat and be easily accessible to the children. We accomplished this simply by tying a string between two nails. Then we added clothespins to the string at the children's level so they could take and return the smocks independently. We have them hanging underneath a clothesline that we use to hang artwork up to dry. We couldn't use that wall space because the artwork might drip on it, but it's a perfect space for the smocks which already have lots of paint on them! Easy and inexpensive - my favorite kind of solution! This month, as part of our Pilgrim study at the PreK/Kindergarten we read Sarah Morton's Day by Kate Waters. This book helped us understand a little more about lives of Pilgrims. One thing we noticed in the book was that Sarah was responsible for churning butter. 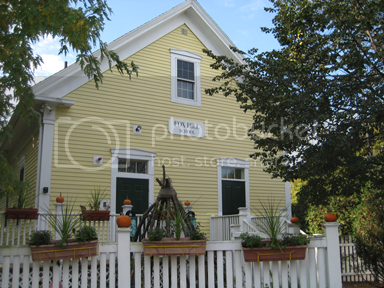 No one here knew what the butter churn was or how butter was made. 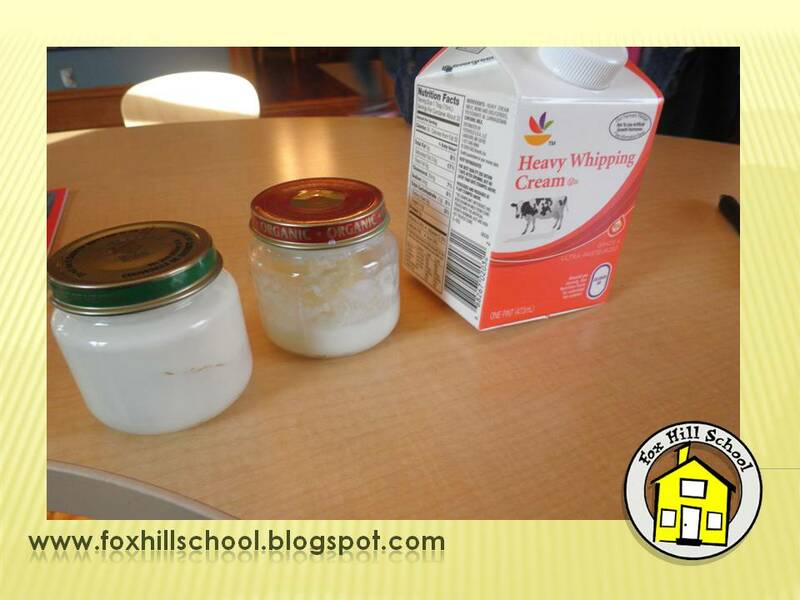 We decided to make our own butter to show them how butter is made. It is a pretty easy process - just fill a baby food jar 1/2 way with heavy cream and let the kids shake it until a ball of butter is formed. 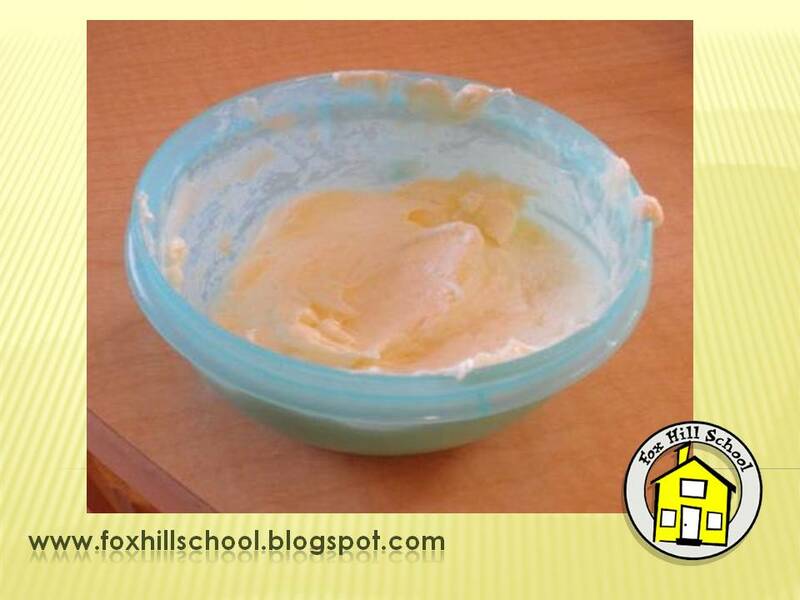 This does take a while, about 10-20 minutes, and required some teacher shaking, but they kids were amazed to see the butter. While everyone was shaking we talked about the science behind making butter. We explained that the cream is made up of tiny parts called molecules. There are fat molecules and protein molecules in the cream. When it is shaken, fat and protein molecules in the cream stick to each other. 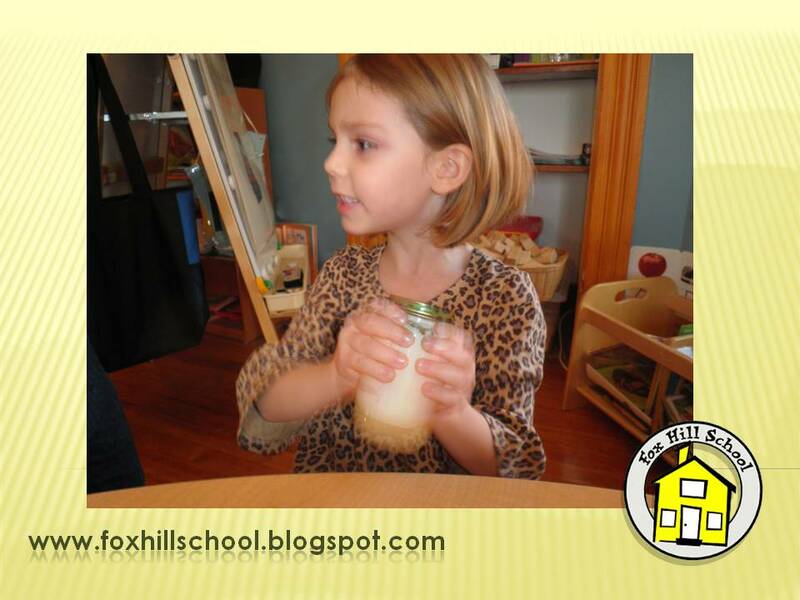 They form a solid which is the butter, and the liquid that is left is called butter milk. Since we were also learning about corn as part of our Pilgrim study, we decided to make corn muffins during cooking time. The warm muffins were delicious with our class-made butter! Heat oven to 400F. Combine dry ingredients. Stir in milk, butter and egg, mixing until dry ingredients are moistened. Pour batter into 12 greased or paper-lined muffin cups. Bake 15 to 20 minutes or until golden brown.